David Bowie is arguably one of the most influential artists within popular culture – the ground shattering artistry of the late innovator has made a lasting impact on today’s music, fashion, and cultural industries. 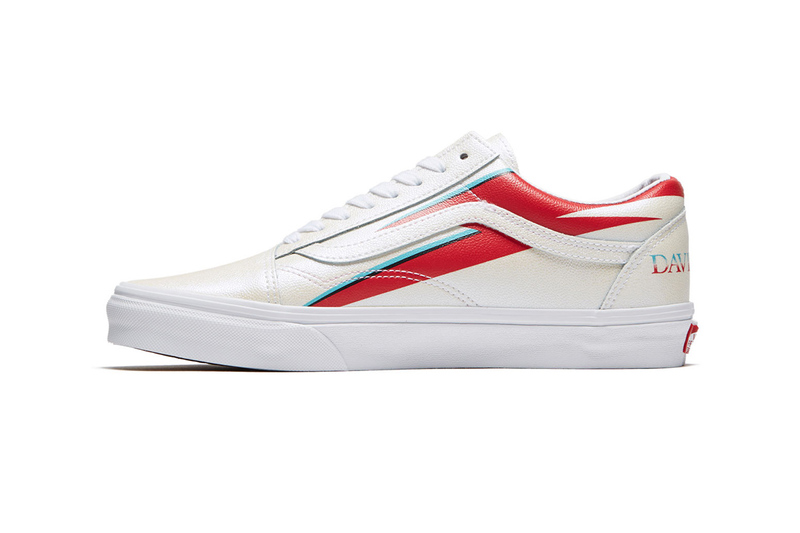 Now, his saga continues with the latest capsule collection from Vans, who has aptly infused his legacy in the form of four of the imprint’s most iconic silhouettes: the Slip-On 47 V DX, Era, Old Skool, and Sk8-Hi models. Relishing in Bowie’s most notorious works, including famed albums Space Oddity, Hunky Dory, Ziggy Stardust, and Aladdin Sane, Vans has eloquently immortalized the artist’s legendary impact in the form of four varied sneakers. The first of the collaboration, the Slip-On 47 V DX, features an ode to Hunky Dory, dousing the sneaker in a vibrant yellow suede, mixing it up with a checkerboard faux fur, lastly emblazoning the sole with the album’s title. The Era relishes in its ode to Space Oddity, featuring an all-over print reminiscent of the album’s cover, finishing it off with “Space” marked on the lateral portion of the Sole. The Old Skool and Sk8-Hi models feature an ode to his alternate persona Ziggy Stardust, utilizing lightning bolt prints and embroidery to aptly transmit Bowie’s alter-ego. You can check the collaborative sneakers above. The various shoes are currently rumored to drop on April 5 via Van’s web store and accompanying stockists, with retail prices set between $65 USD and $80 USD.